At the heart of Eve’s mastering studio is the incredible BBC ‘Kingswood Warren’ Type B valve mixing console… The Enigma Machine! What is the Kingswood Warren? Originally built by the BBC in the early 1960s for testing loudspeakers, the Kingswoood Warren is a seven channel vertical valve mixing console. It has been lovingly restored and is the only one of it’s kind in the world. What can the ‘Enigma Machine’ do for you? To put it simply, the Kingswood Warren brings a quality to your mixes which is unparalleled! “The quality of sound it gives mixes is perfect for the digital age. It smooths the sharp high end frequencies without losing any clarity, and adds a vibrancy to the mix… Masters with more depth and richness, sounding more cohesive and three dimensional. 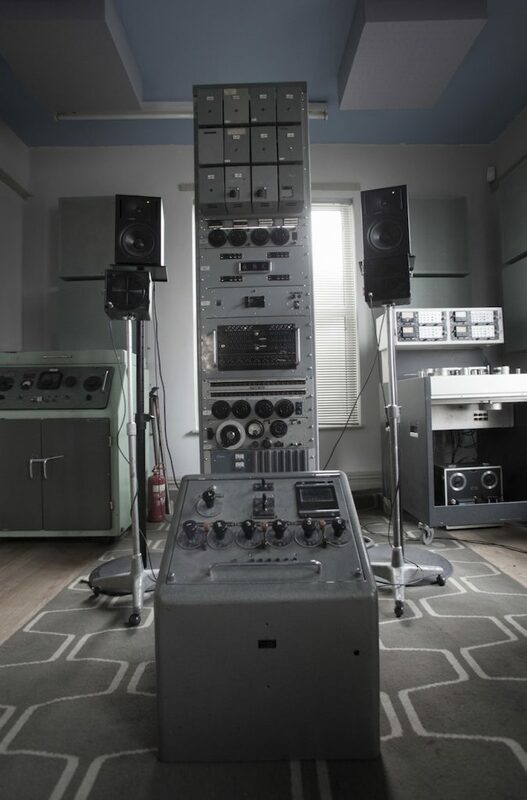 Moreover, using some of the same equipment used by the radiophonic workshop pioneers is a real buzz!” ..says Jim Spencer. Jim considers mastering music with the Kingswood Warren much like having a secret weapon and a piece of history all rolled into one. Furthermore, combined with cutting edge digital processing, we deliver first rate professional masters.